Unsurprisingly, much of the heat escapes from your home through the windows, particularly if your windows are not double-glazed. While you’ll want to let as much sun in during the day as possible, covering your windows with thick curtains after dark can make the place look and feel much cosier. Winter curtains can make a considerable impact on your home, especially if they feature a thermal lining and multiple layers. Heavy fabrics will do wonders when it comes to keeping out draughts, and with many options available, you should also be able to find something that matches the décor of your home. With the cost of operating a central heating system constantly on the rise, you’ll want to take every possible step to get as much heat out of your radiators as possible. One low-tech way to make your radiators more efficient is to install some tin foil on the walls behind them, particularly for radiators that are attached to exterior walls. The foil will help to reflect the heat back into the room, minimizing the amount that escapes into the walls. If your home has high ceilings, you can also install some shelves a few inches above your radiators to help direct the heat into the room rather than lose much of it through the roof. The draughtiest areas of a home are around doors and windows, particularly if there are any visible gaps at the seams. You can buy cheap rubber draft excluders for installing around doors and the opening parts of windows to seal any gaps that might leave your home partly exposed to the elements. Another easy and effective solution is to roll up a thick piece of material, stuffed with down or another insulative material, and place it under doors and windows. These simple DIY draught excluders only take a short time to make, but they’ll make a significant difference. Finally, don’t forget to insulate things like letter boxes and cat flaps. There’s no point in heating rooms you aren’t currently using, so be sure to turn off any radiators in them and keep the doors closed behind draught excluders if necessary. If your central heating system features any vents in these rooms, be sure to seal them off as well. 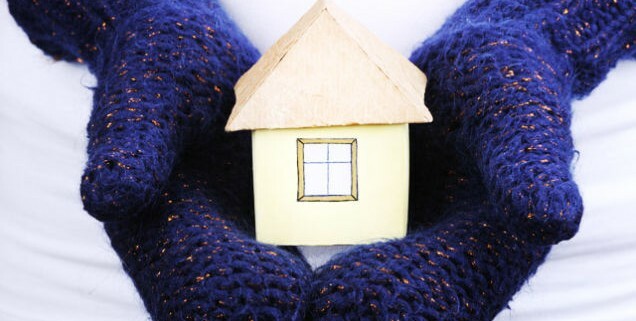 If you live in an area that experiences particularly cold winters, it is important that any sealed-off areas of your home don’t get too cold, particularly if they contain any pipes that may freeze. Areas such as basements, which are usually unheated, will need to have any pipework in them properly insulated with polyurethane foam or something similar. Insulating a roof might sound like a job for a professional, but it’s normally something that any practical person can do in a day. In the UK, building standards recommend a loft insulation thickness of 270mm, up from the original 120mm standard. Fortunately, rolls of glass wool are usually very cheap and easy to install yourself. However, most materials can irritate the skin, so make so to wear adequate protection while working. When you need to cut the blankets of insulation to fit around things like pipes and joists, simply use a sharp knife or a large pair of scissors for smaller cuts. 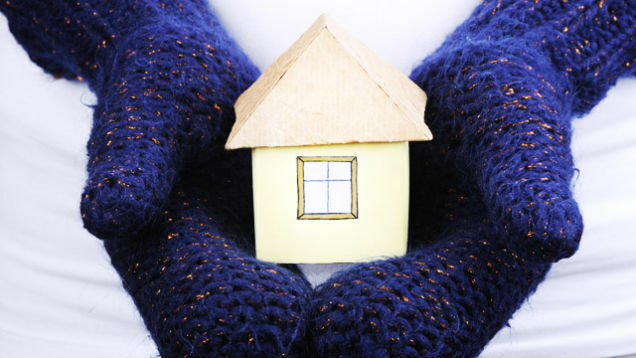 These are our tips on keeping an old house warm during the winter. Although the above low-tech home-improvement tips will make a significant impact on the energy efficiency of your home, it does make sense in the longer term to invest in more effective and permanent methods. Even major jobs such as installing new windows or cavity wall insulation do pay off after some years through energy savings, and any improvement that decreases the running cost of your home will also increase its value significantly.